Tradeshow marketing is definitely old-school. Trade shows have been a successful strategy to introduce your product and services to new audiences since Roman times when vendors gathered in the town square to sell their food and wares to travelers. Today trade shows are still a relevant and effective way to promote your product. But the tools and trends in trade show marketing have definitely changed! Here are some new ways entrepreneurs, small business owners and professional sales people can use trade shows to boost their business. 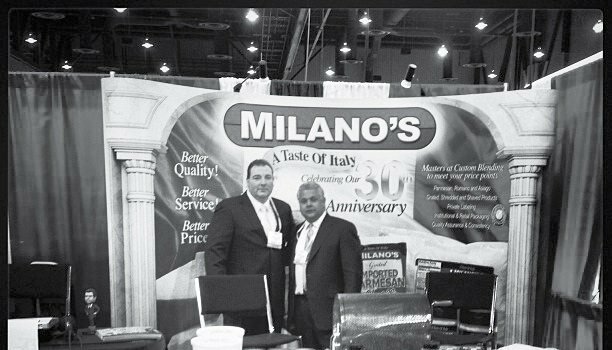 Business owners and marketers aren’t limited to engaging visitors merely by sights and sounds, says Corbin Ball & Co. As The Big Cheese and VP of Sales & Marketing at Milano’s, I know first-hand that buyers at food shows use their eyes, nose, and fingers in addition to their taste buds when sampling cheeses to buy for their store or restaurant. They don’t buy it just because our cheese tastes good (but it does! ); they buy Milano cheese because it also looks and smells like a taste of Italy! Stand out from the competition by using creative lighting, inviting music, interactive displays and alluring food or drink to coax people into your booth – then engage them with your sales pitch! Use social media to find your followers and trade show attendees to drive traffic to your booth, says Exhibit Systems. Use the trade show hashtags and your brand hashtags in your social media posts. Create #BrandedEventHashtags to promote special promotions in your booth, after-hours socializing, and any events you are in or attending. Invite booth visitors to take and share photos in a staged photo booth and use your #BrandedEventHashtag, and take, share and tag visitors to the booth. Answer relevant questions live from your booth. Consumers are choosing brands that speak to their core beliefs, says Nimlok. Promote your brand’s social causes in your trade show marketing materials and booth design, and explain how your brand mission aligns with your cause. Consumers today are savvy – make sure all social cause marketing is authentic. Experience marketing is one of the major trends in B2C and B2B marketing. Create memorable experiences for your booth visitors, says SalesFuel. Offer a hands-on experience that is personal to the trade show attendees so your brand connects on an emotional level. Foods, games, virtual reality, contests and other activities engage visitors senses and help them build a relationship with your brand. The trade show is a great place to interact with clients and prospects – but don’t let it end there. Every good sales professional will follow-up after the event with everyone who visits their booth. 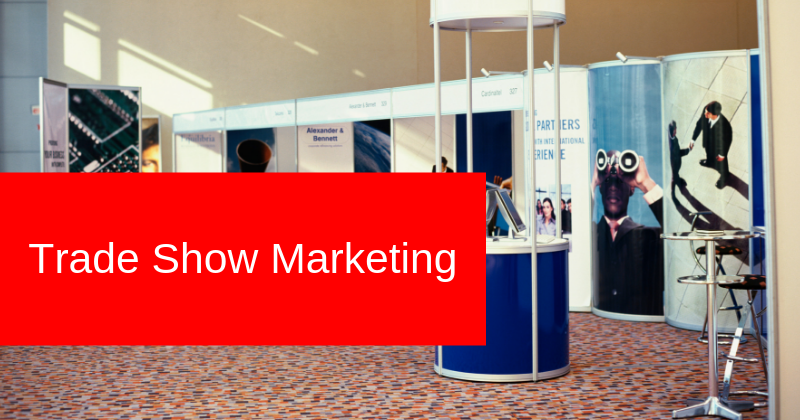 Up your game by incentivizing your booth visitors to contact you after the show. Process Expo recommends creating a value-added incentive such as building a special landing page on your website and offering a white paper, e-book or instructional video that brings extra value to them and pushes them to interact with you after the show. An after-show special such as a discount, an add-on or a bonus is a great way to get booth visitors to contact you after the show. ← Should You Sell Your Business to a Competitor?